If 2016 left you feeling disheartened, consider this new year a well-timed opportunity to do things better. As a final resolution to add to your list, skip the SoHo chains and start shopping local -- and we mean hyper-local -- paying extra attention to NYC’s neighborhood businesses that need your patronage the most. Here’s where to start. With only a $20,000 loan, Brooklyn army vet Chris Nolte turned a storefront on the edge of Vinegar Hill into an amazing business that sells electric-assisted bicycles. Nolte was injured in the Iraq war, and found an electric-assisted bike was the best way to get him moving. 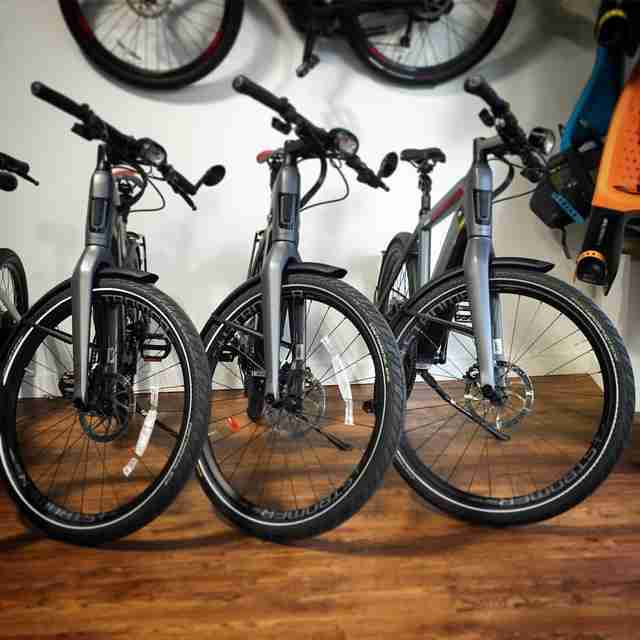 Now, he’s helping others find their perfect electric bike. Because two New Year’s resolutions are better than one, commit to going green in 2017 and try one of Nolte’s high-quality electric bikes. He can even have it delivered to your doorstep, fully assembled, for free. There’s a thin demand for paper now, with stationery shops closing in rapid succession (including Downtown Stationers, in Greenwich Village). So it’s nothing short of miraculous that the city’s oldest, continually operating business is a print shop. Since it opened in 1775 -- just a year before the American Revolution -- Bowne & Co. has been crafting one-of-a-kind cards, journals, invitations, and stationery on 19th-century letterpresses. The next time you need a birthday card or a stack of invitations, go out of your way to get it at this historic storefront. 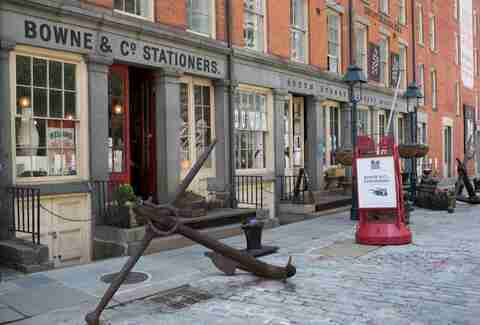 You can even take a printing workshop at the adjacent South Street Seaport Museum. Looking for something other than Frank's RedHot to add a kick to your food? 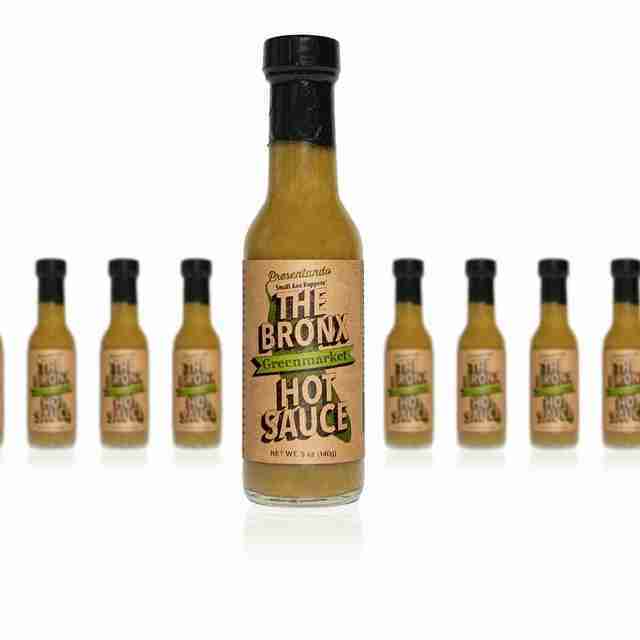 Every bottle of The Bronx Hot Sauce sold features serrano peppers grown across the borough in more than 30 community gardens (Morning Glory Community Garden and Intervale Green Rooftop Garden, for example). The project is a collaboration between chef-owner of Kuma Inn (and Daniel alum) King Phojanakong, GrowNYC, Bronx Green-Up, and Small Axe Peppers. Pepper seedlings are donated to growers at the beginning of every season, and the harvest is bought back at fair trade prices. You can find the finished product at the Union Square Greenmarket, the Park Slope Coop, and other destinations across New York City. In 2014, Bonnie Slotnick was forced to close her eponymous shop of antique and out-of-print culinary texts due to rising rents in the West Village. Fortunately, New York natives Garth and Margo Johnston reached out to Slotnick when she lost her lease, and she’s now up and running in the basement-level floor of their family row house in the East Village. 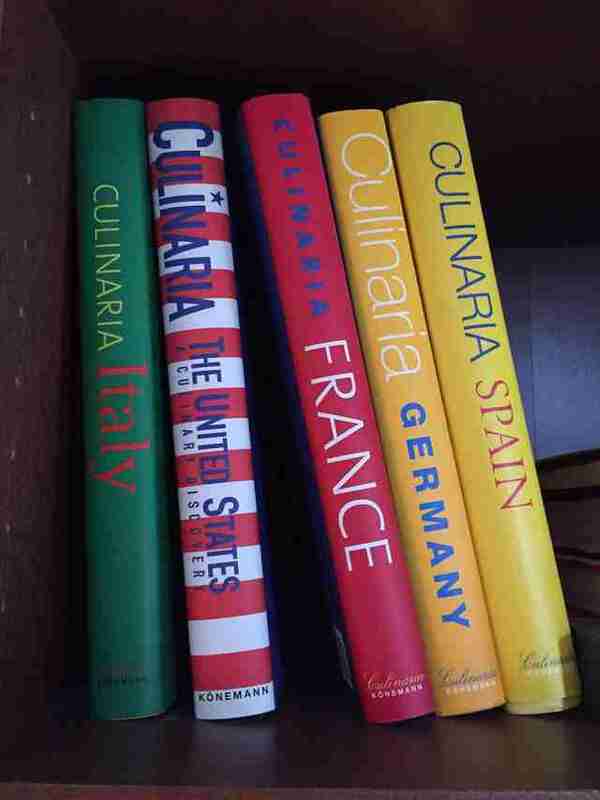 Instead of searching online for an ambiguous recipe, come here for a true, tactile tome -- maybe even something unusual, like a text of 19th-century etiquette or an old cookbook with handwritten tips. From a college apartment on 12th St to what’s now its third location on East 7th, Turntable Lab is one of the few storefronts left for audiophiles in New York City. 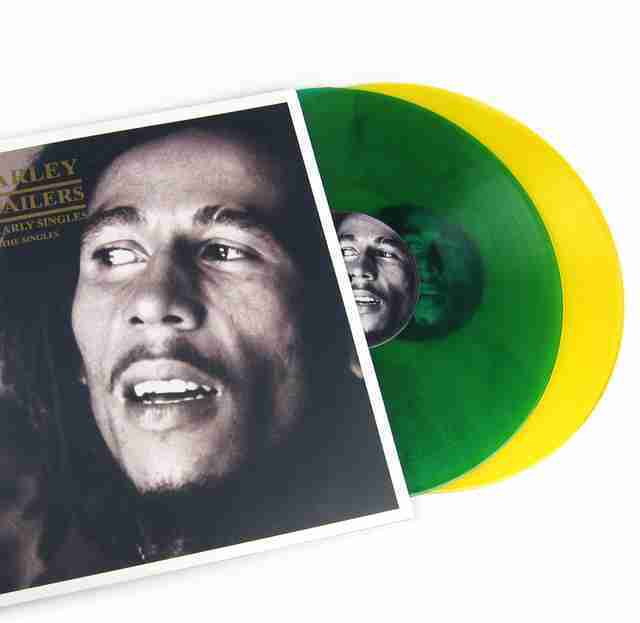 While professional DJs come here for a pro-level mix of faders, cables, and turntables, even rookies will appreciate the Lab’s expertly curated mix of vinyl records, speakers, headphones, and more. Most importantly, Turntable Lab is where so many influential DJs and producer (DJ Neil Armstrong, Gina Turner, P-Love) got their start. A diminishing German population has made it difficult for other meat shops (Karl Ehmer, for example) in Ridgewood to stay open. But this multi-generation deli, which opened in the early 1900s after being transplanted from the former Austro-Hungarian Empire, has managed to adapt to the shifting community. 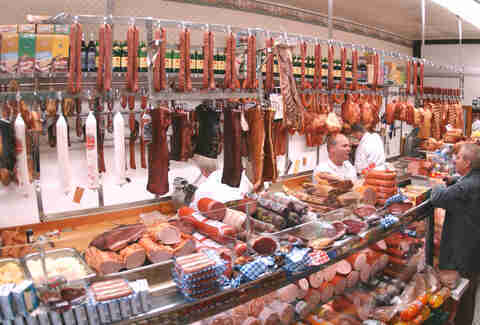 Slovenian debricina sausages, Swiss gefüllte schwein brust, and even Spanish-style chorizos can be found in Morscher’s counter alongside more traditional zungen blutwurst and gelbwurst. Almost everything here is dried, stuffed, and smoked by hand in-house. Modern sausage stuffers and linkers have helped Herb and his partner Siegfried keep up with the times. 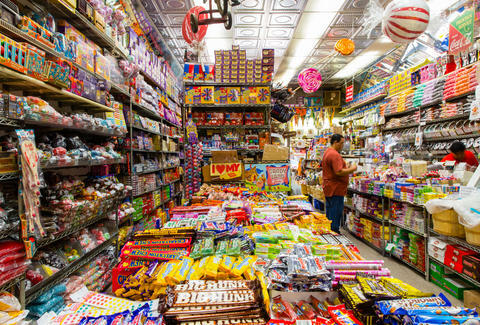 There’s no reason to satisfy your (completely justified) candy craving at Duane Reade or megashops like Dylan’s Candy Bar when you can pay-by-the-pound at the iconic (and long-lived) Economy Candy, the city’s oldest shop of its kind. 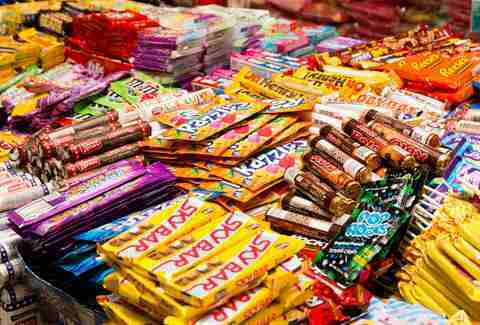 Nearly 80 years old, Economy Candy began its life in 1937 as a shoe shop that also sold candy, but the latter persisted through the Great Depression (and then through massive changes to the neighborhood). Now under third-generation management, this eclectic shop has tables heaped with vintage candies -- PEZ, Pixy Sticks, Zagnuts, Push Pops, Abba-Zabba -- as well as ephemera like gumball machines and $1 comic books. For decades, The Red Caboose has remained largely unchanged, save for a gleaming new chrome and glass storefront helping new model train hobbyists find their way to the basement-level store on 45th St. While, as the name suggests, you can come here for rare model trains and tracks, owner Allan Spitz helps the hobby shop thrive by selling model cars and trucks, airplanes and military ships, and supplies including paint, tools, and glue. Skip Petco if you’re shopping for pet supplies and pay a visit instead to this 20-year-old pet supply shop, co-owned Barbara Librowski and Helen Pabst. Patrons can expect free treats for their pooch or feline and excellent, friendly service every time. If they don't have it, Barbara will likely be able to special order it for you within the week. 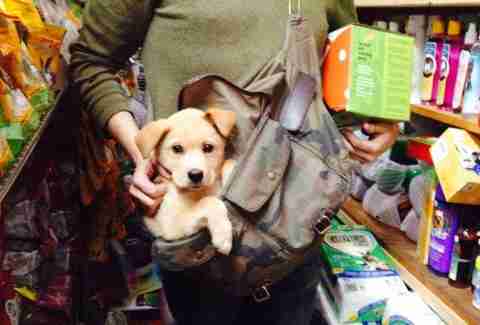 But take time to peruse the -- albeit cluttered -- stock of cat toys, kibble, litter, and more. If you have any questions, expect honest advice and input from the store’s owners, Barbara and Helen, who put their reputation and the customer satisfaction above the sale. One of the longest-standing, independently owned video game stores in NYC, VideoGamesNewYork sells everything from the latest XBOX One S console to custom joystick kits, and a rare Mario Paint cartridge you never thought you’d see outside of Japan. 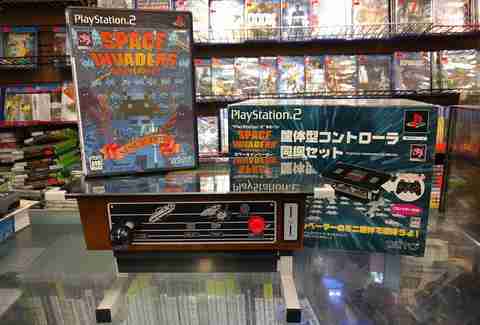 Formerly Saint Marks Games, this isn’t just a place to pick up international bestsellers or even rare imports. Instead, everything here is priced according to condition (factory sealed or used, for example), and video game fanatics should come just to chat with the die-hard staff about aftermarket Game Boy modifications or the history of video games, dating back to the soundless, 1972 battery-operated Magnavox Odyssey. Fittingly secured inside a renovated funeral home, this East Village shop of peculiarities and vintage finds was forced to move abruptly in 2012 from a spot a few blocks away. But a cult following (it’s been featured on both the Science and Discovery channels) has helped this peculiar Alphabet City shop prosper. You’ll probably come here to ogle the taxidermy animal heads and jarred medical specimens. But if you’re ever in need of a paper mache anatomical model or antique medicine bottles filled with who-knows-what (it could happen! ), this celebrated New York original deserves your patronage. Melanie Taryn Lieberman is a New York-based writer who loves supporting local businesses -- especially when they’re so local she can walk there in her pajamas -- and really hated 2016.